VATICAN CITY (CNS) — What makes a politician “Catholic” is not party affiliation, but dedication to promoting the common good, particularly through listening to and empowering people who often are overlooked, Pope Francis said. “I invite you to live your faith with great freedom, never believing that there exists only one form of political commitment for Catholics, a Catholic party,” the pope said March 4 during a meeting with 26 young Latin America leaders attending a course on politics and the social teaching of the church. The course was supported by the Pontifical Commission for Latin America. For that reason, he said, Catholic politicians will join different parties and will work with people of other faiths in pursuing the common good. “Being a Catholic in politics does not mean being a recruit from a group, an organization or a party,” but striving to serve others based on one’s baptismal calling and strengthened by regular participation in a faith community. Without that support, he said, one risks facing “the challenges of power, of strategies, of action” alone. True democracy can never mean “for the people, but not with the people,” the pope said. To be Catholic is to recognize that one belongs to a community, to listen to the community and to respond to the real needs of people in the community. In Latin America today, the pope said, there are three groups that need particular attention, and listening to them offers real hope for finding concrete solutions to the region’s problems: women, the young and the poor. 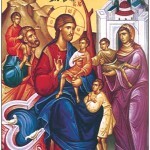 Women, he said, are “a pillar in the building of the church and society,” young people have “the dissatisfaction and rebelliousness that are necessary to promote true changes and not merely cosmetic ones” and, through service to and with the poor, he said, “the church shows her fidelity” to Christ. “Their presence, their joys and, especially, their suffering are a strong wake-up call for those who are responsible for public life,” the pope said, and in responding to their needs, a government goes a long way in truly working for the common good in ways that are concrete and not simply slogans.